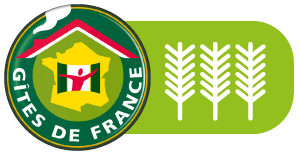 At the heart of the Vineyard of Cahors and near the river Le Vert, Fabienne welcomes you all year round in her five spacious guest houses, situated in the village of Labastide-du-Vert. You will appreciate all the modern and qualitative comfort of places. Situated in the floor of the house of the owners, are five big bedrooms going of 35 in 48m ² with in each of them, a shower-room with separate toilet, dressing room and reversible air conditioning. 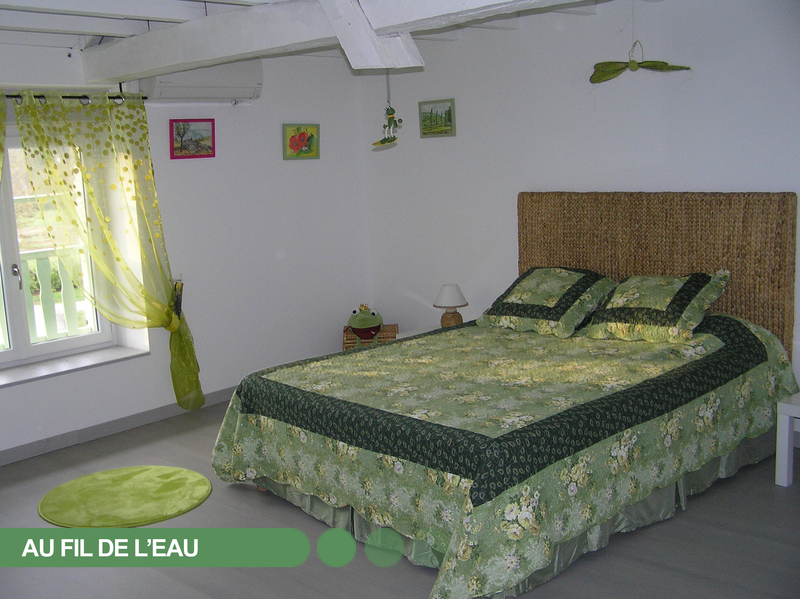 – The bedroom « Au fil de l’eau » includes a bed for 2 people in 1.60m. – « L’artiste » : a bed for 2 personnes in 1.60m with a child’s bed. 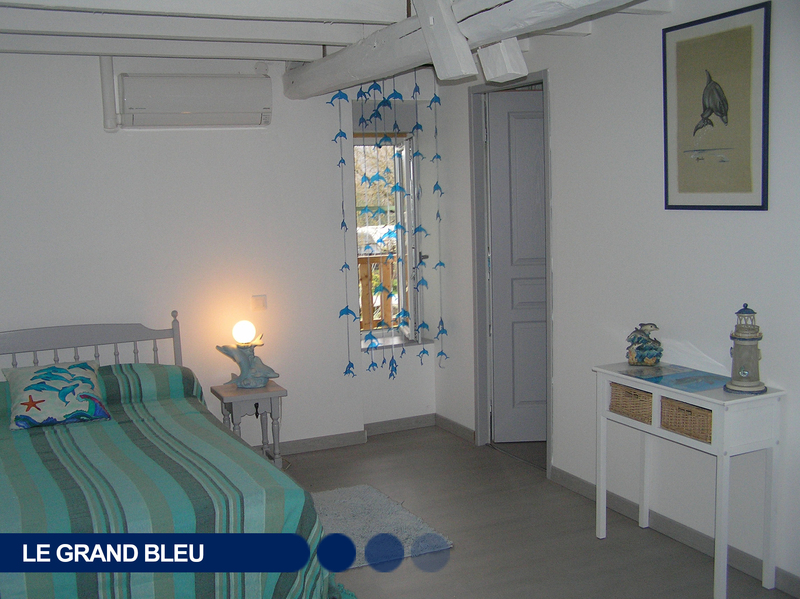 – « Le Grand Bleu » : a bed for 2 personnes in 1.40m with a crib. 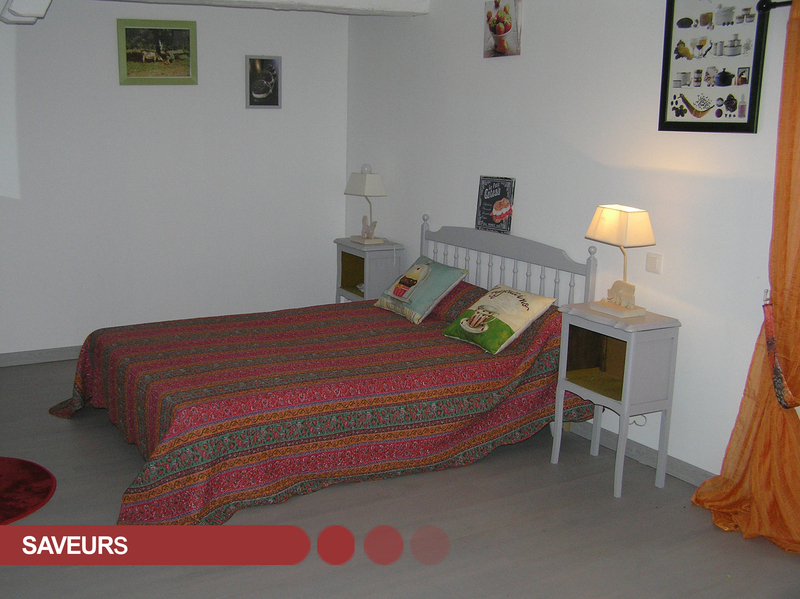 – « Saveurs » : a bed for 2 personnes in 1.40m and a bed for 1 personne in 1.10m. – « Vent d’ange » : a bed for 2 personnes in 1.60m and a bed in 1.10m. WiFi, library, telephone at arrangement, color television. Outside, closed court and brings down with garden furniture. 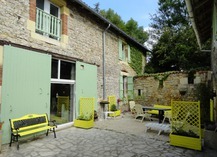 Bed and Breakfast n°CH486 – 5 bedrooms / 10 people – Maximum capacity 12 people – Accepted animals. The children of less than 2 years are not taken into account in the capacity. -10 % from 5 nights, -5% from 3 nights.